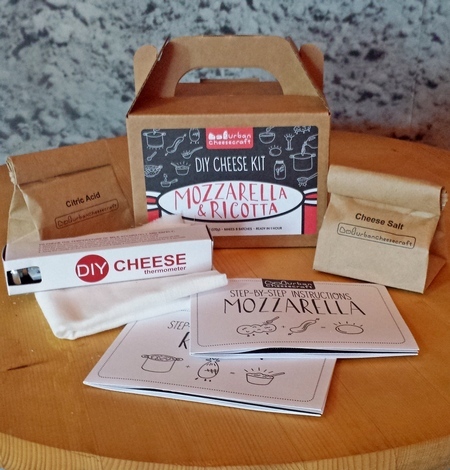 Make your own cheese at home! Kit comes with everything you need (but the milk) to make 8 batches of fresh Mozzarella or Ricotta. Yum.